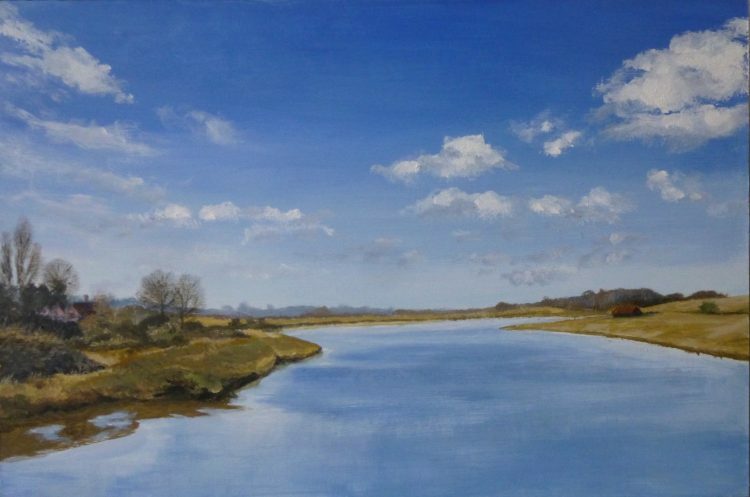 The second of my 2018 painting project – Four Seasons on the Stour – is this one. This is the view looking up-river from The White Bridge, which is the road bridge leading into Manningtree on the River Stour. I just finished the last little touches this afternoon – the light in my studio being so good with the snow all around! It has been snowing on and off all day long, sometimes really heavily, and so quiet – hardly a car past for the last few hours. We were going to take a trip down to Leigh on Sea today to visit Jonathan Trim! How glad I am that we re-arranged it. Jonathan is showing with us at All Saint’s Arts Festival at the end of May. Yes, I’m starting my ‘exhibiting artist’ visits already . . . . I have just started a new Facebook page for the festival, so if you do Facebook and are interested you might like to search for All Saint’s Arts Festival. There isn’t much on it yet, but give me time! 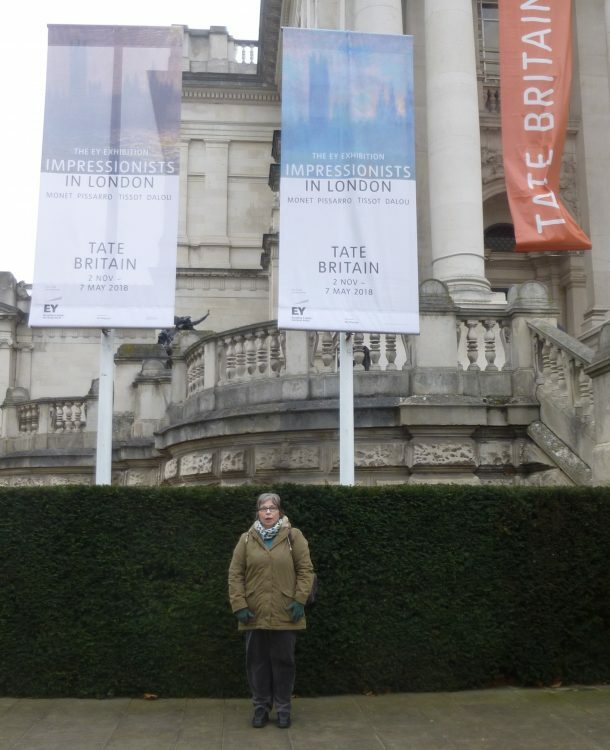 Last week Graham and I had a trip to Tate Britain to visit the Impressionists in London exhibition. It is on until 7th May and is very well worth a visit. There is a mesmerising room of Monet’s Houses of Parliament with fog effects series. But as well as the ‘big’ names, I was very interested in some artists who were completely new to me. The terracotta sculptures of Jules Dalou were breathtaking! And I’d never heard of him! And two of my favourite paintings were by Giuseppe de Nittis – Piccadilly: Wintry Walk in London 1875, and Westminster 1878. And, again, he was completely new to me. How lovely to discover these wonderful artists! I’m hoping to go again with my Norfolk Niece, and maybe my sister, too, before it closes, and will be delighted to re-visit these works. ← Spot the difference . . .